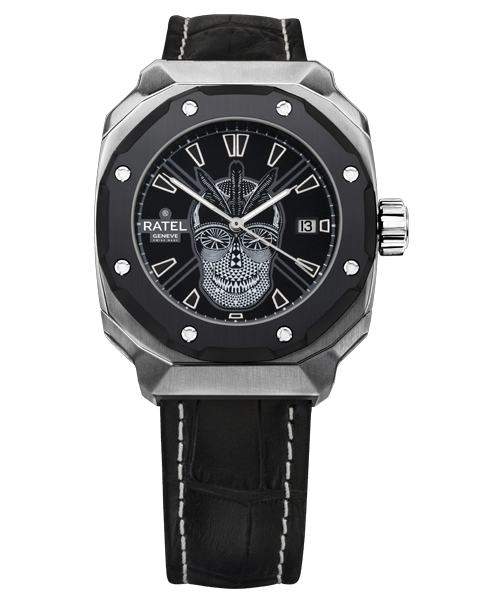 The SILVER SKULL LTD. from the Djibril Cissé Signature Series is powered by a mechanical movement with automatic winding ticking 3 hands around the Black face adorn the « Mr Lenoir » Skull design with silver markers. 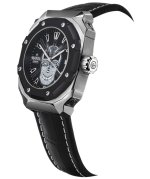 A sapphire glass case encloses in the hand assembled inner working. Black stainless steel bezel - 8 screws. 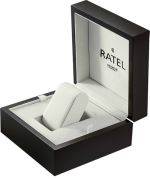 Engraved RATEL logo - Folding buckle clasp.